Present state: Demolished - no evidence of the station remains. 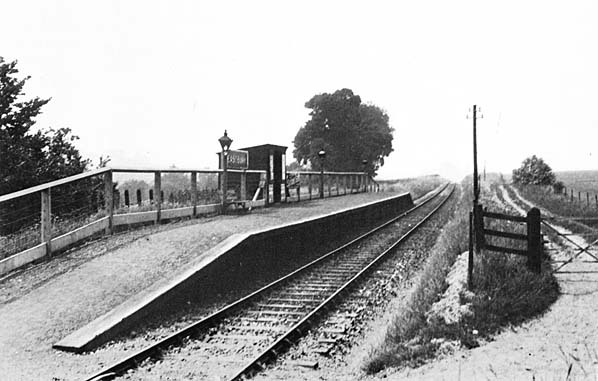 The Lambourn Valley Way footpath runs along the course of the line and alongside the station site..
Notes: As with all the stations on the line Eastbury was originally built with the 9 inch high platform, but without the standard wooden office. Following the amalgamation with the GWR in 1905 the station was partially reconstructed. 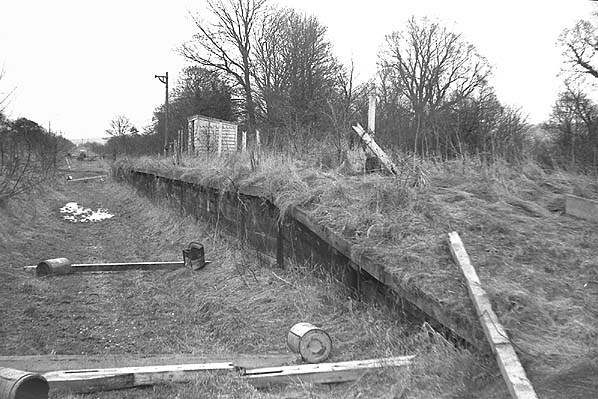 This involved replacing the platform with one that was longer and wider and of standard height. It was topped with cinders and fine gravel while it's leading edge was built of sleepers. Rails sunk vertically into the ground supported the entire structure throughout its length. Unlike other intermediate stations Eastbury was not provided with a pagoda style waiting shelter, instead it had a small wooden shelter. There was little freight traffic with only milk being carried in any quantity. There was no goods yard so churns were left on the platform. 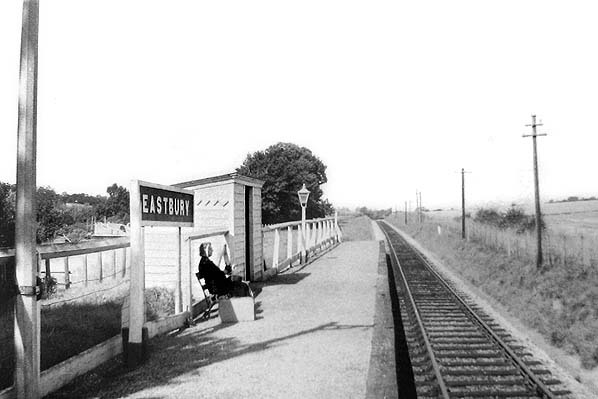 The station was unstaffed in 1934 and was renamed Eastbury Halt. For further pictures and information on East Garston Station see Lambourn Valley Railway web site and the Eastbury Village web site.